Award-winning writer and producer Steven Jon Whritner has served in senior executive level positions at several of the leading cable and broadcast networks. Whritner has also created and produced more than 100 hours of successful television programming netting many of the industry’s top honors. 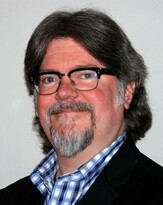 Whritner served as senior producer at A&E Networks; Creative Director and Executive in Charge of On-air Promotion at United Paramount Network’s flagship station in New York, UPN 9; and Vice President of Creative Services for Food Network where he spearheaded the network’s complete corporate re-design, while packaging hit shows such as Emeril Live. Whritner also served as Executive Vice President, Production and Development at Emmy®-winning Big Chief Entertainment where he created and produced several long-running television series, including TLC’s Repo Men: Stealing for a Living and the dating game show Get The HookUp for TV One, among others. In 2006 Whritner launched Plymouth Rock Entertainment, Inc., a creative agency specializing in the development, production and marketing of a vast range of entertainment content, including the nationally syndicated daytime court show Jury Duty, for which Whritner served as an executive producer. Current Plymouth Rock projects in active development include the scripted dramas License to Steal, Ravenous and Son of the Dragon, and the motion picture Incidentals.